February 21st marked the beginning of Oregon’s “School Exclusion Day” as the state begins its efforts to ensure that as much of its youth are vaccinated as possible. As noted by the Oregon Health Authority, the exclusion day marks the beginning of a ban towards children who are missing immunizations. Children will not be able to attend school or child care as a result. This is part of the state’s laws that require all children in schools and care facilities to have updated records on their immunizations. Some of these immunizations include MMR, Hepatitis B, and Polio. While these may seem like outdated diseases, they are kept that way because of these vaccines. Local health departments recorded about 30,000 letters sent to parents and guardians in 2017 to remind them of the need for their children to become vaccinated otherwise they would be unable to attend school. These departments found that 4,646 children were prevented from attending school or childcare facilities because they had not completed their required immunizations. Despite the law and the general ban against unvaccinated children, there are exemptions that are noted by the Center for Disease Control and Prevention as well as the Oregon Health Authority. These exemptions are based on both practical and outdated ideological reasons. According to the CDC, some of the practical exemptions are children with severe allergies to the vaccines, individuals with weakened immune systems due to things like HIV/AIDs, and pregnant or nursing women. 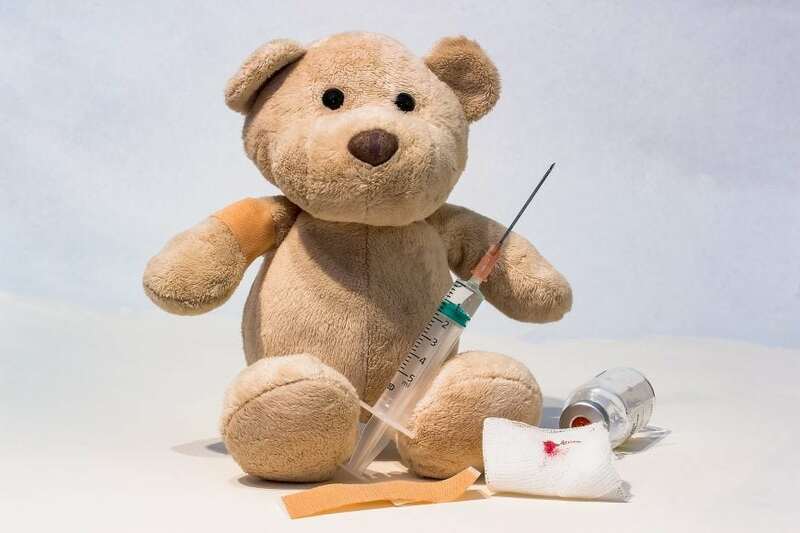 Children who suffer from severe illnesses are advised not to get some vaccines like the DTaP vaccine, which protects against diphtheria, tetanus, and acellular pertussis. These represent rare cases of situations in which vaccinations cannot occur. The Oregon Health Authority allows some non-medical exemptions that include personal, religious, or philosophical reasons. With a rise in anti-vaccination ideology and other persisting misconceptions, researchers have found an increase in non-medical exemptions throughout the United States. In 2016, it was found that 2/3 of 2-year olds in Oregon had their updated vaccines and over 90% of teenagers had gotten their DTaP and MMR vaccines. Unfortunately, it was also found that about 13,000 students attended charter schools that had vaccination rates below the needed limit to ensure herd immunity. Herd immunity highlights the importance and power of a community rallying against diseases using the resources we have available to us. Essentially, herd immunity occurs when enough of a population are immune, because of something like vaccines, to a disease. Once enough people are vaccinated against a disease, the chance of the disease affecting an unvaccinated person is very slim and they are essentially protected from the disease. For instance, herd immunity against measles occurs when about 93% of a population is vaccinated against the disease. By vaccinating enough people against a disease, herd immunity helps to protect individuals who cannot become vaccinated because of their immune system, allergies, or outdated ideologies. There were recent reports of increased measles cases in Europe and the World Health Organization saw a four-fold increase of a preventable disease. This is not an isolated incidence because, in 2013, the Netherlands saw an outbreak of measles in orthodox Protestant communities.These communities are noted for their opposition to vaccinations. Herd immunity did not occur because this community had too many unvaccinated individuals. To ensure that herd immunity is preserved, Oregon and many other states in the United States, as well as many countries around the world, are working on legislation to continue the push towards vaccinations and dispelling myths and misconceptions of vaccines. According to the WHO, about 3 million premature deaths are prevented because of immunization programs across the globe. Diseases that were once detrimental to society and killed many have been reduced to a minor afterthought that is dealt with through vaccines. Along with clean water, vaccines have greatly reduced the burden diseases have on the world. The USA has seen a 99% drop in incidence of 9 diseases because of the success of vaccines. Despite the severe flu that is occurring in the USA, the annual flu vaccine has protected and ensured that many survived a now common and often overlooked condition. The polio vaccines allowed many countries to stem the increase of polio and save many children from the permanent consequences of the disease. Besides preventing disease and keeping a population healthy, vaccinations have contributed to the overall health of society and the economy. With fewer people being sick with a debilitating disease, this means less time is taken off from work and more money being made by individuals and businesses. The success of vaccines is countered by a reality that showcases the inequalities and misconceptions of the world. The WHO notes that about 1 in 10 children are not vaccinated for any disease. This puts them at great risk of acquiring these diseases and falling ill because of it. This also results in lowered herd immunity, which further increases the risk of acquiring a disease. The relatively high occurrence of unvaccinated children is the result of many factors. One of the main factors is access to the vaccines. There are many poor and undeveloped or developing countries that do not have adequate access to the vaccines. They may lack the funds to acquire them or lack the infrastructure to implement a vaccination program. WHO found that income inequalities have led to an increase of unvaccinated children because the poorer communities do not receive the same or adequate medical treatments as middle or upper-class communities. Finally, there is a noticeable rise in anti-vaccination ideologies stemming from misleading studies and mistrust towards the government. To begin addressing many of these concerns, many states across the USA are implementing more requirements and medical programs to ensure that populations are adequately vaccinated. They are also working on education programs to dispel myths and misconceptions that flourish in certain communities. Mohendra has a Bachelor's degree in Biology and a Masters in Biotechnology. Growing up, he enjoyed learning as much as he could from any and all topics. He has gone on many Wikipedia rabbit holes, scouring to find more interesting facts than the last. He writes to both learn and lead others into their own search of scientific knowledge, both mundane and interesting.